You may not know what’s safest for your hair, either because you’ve never tried hair extensions or because you use only one or two kinds and no one has told you what else is out there. There are so many kinds of hair extensions these days! Have you ever wanted to immediately grow out that cut that was too short? Ever been mortified by the bangs you thought would change everything, but instead made everything worse? Or are you a regular extension user, starting to notice your own hair is thinning or looks damaged and feeling hopeless about finding a better solution? There IS a product out there for you. Most women who have given birth know this dirty little secret. Just when your body is starting to feel like it might recover (if you could ever get more than three hours of sleep at a time) and your baby is discovering that he can, in fact, eat at predictable intervals, your hair starts falling out. You find hair in the shower, on your pillow, and in your hand. 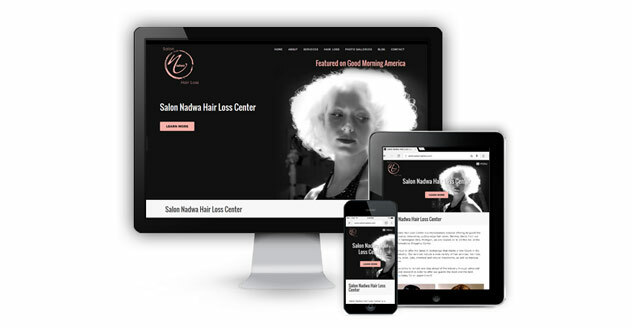 Nadwa Yono, owner of Salon Nadwa and Hair Loss Center in West Bloomfield, Michigan is proud to announce the launch of a new and much anticipated website at www.salonnadwa.com.